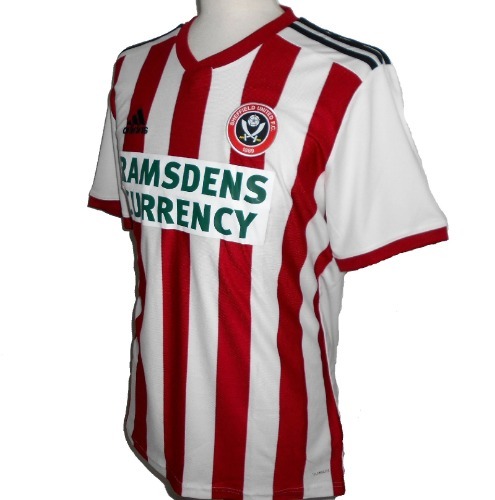 Official Sheffield United FC home football shirt for the 2018-2019 Championship season, by Adidas. New with tags. - Sponsors logos on chest and upper back. - Adidas product code CF9738. - Red and white stripes with black sleeve trim. - Check out our own stock photos of the actual item (size M shown in photos).